Yes, having graduated from university last June this is the first year I've been able to concentrate on cycling full time. As a young teenager I was long distance runner however after being plagued by injuries I took up cycling as a means of cross training. A few club time trials later and I had well and truly caught the racing bug so decided to enter the National TT champs which just so happened to be on my doorstep. A victory in the junior girls category cemented my decision to switch sports and so in 2013 I began road racing. The rest as they say is history! 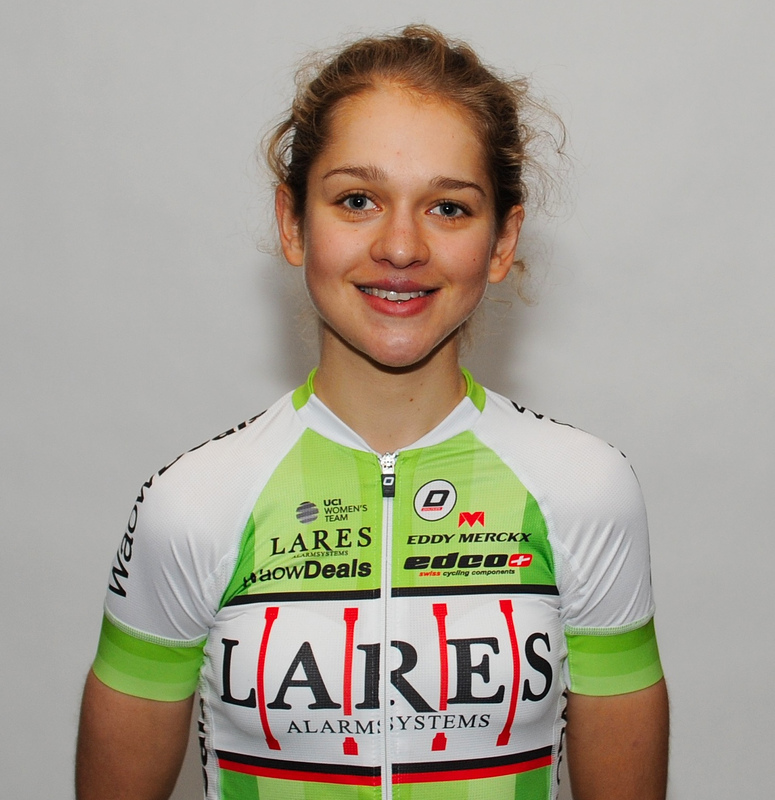 For 2017 I'll be riding with the Belgium UCI World Tour Team Lares Waowdeals. Having formed in 2016 this year will be the second season for Lares. Ranked 13th in the UCI standings means that we have a great calendar with lots of World Tour racing which provides some exciting opportunities. I have a really exciting racing programme tailored towards my development as a climber and potential future GC rider. The management at Lares have carefully planned my calendar such that I have a nice mix of races to help me make a good transition into the professional ranks and gain as much experience as possible without over-racing. The main goals are the two hilly Ardenne Classics towards the end of April , Fleche Wallonne and Liege Bastonge Liege - and then the Giro de Rosa in June. To race the Giro as a neo pro is extremely exciting for me and I can't wait to test myself against the top climbers! The team ride Mercx bikes and this year my racing machine is the Women's specific Milano 72. The bike is equipped with ultegra Di2 and a Pioneer powermeter which (as a self-confessed 'numbers person') is fantastic. We ride with Edco wheels which are also great and they have designed a very nice set of climbing wheels which the team are fortunate enough to ride. My wardrobe is currently bulging with a plethora of new team kit supplied by Doltcini. From various types of winter long sleeve jerseys, to performance skin suits to headbands and buffs, the team have every piece of clothing a rider could need! Life very much revolves around training and racing but having said that I'm keeping myself occupied off the bike by informally studying sports physiology as well as trying to learn French.